For a hot minute now the average new car price has been about $34,000, a historic high in the industry. But if you want a truck, it’s even more—almost $50,000. That’s a lot for a segment that used to offer almost exclusively utilitarian work vehicles but now trades in gigantic, leather-lined near-luxury vehicles full of expensive features. Those trucks are incredibly lucrative. The American automakers in particular have essentially become truck and SUV manufacturers that occasionally make sedans and cars as a side hustle, if at all. 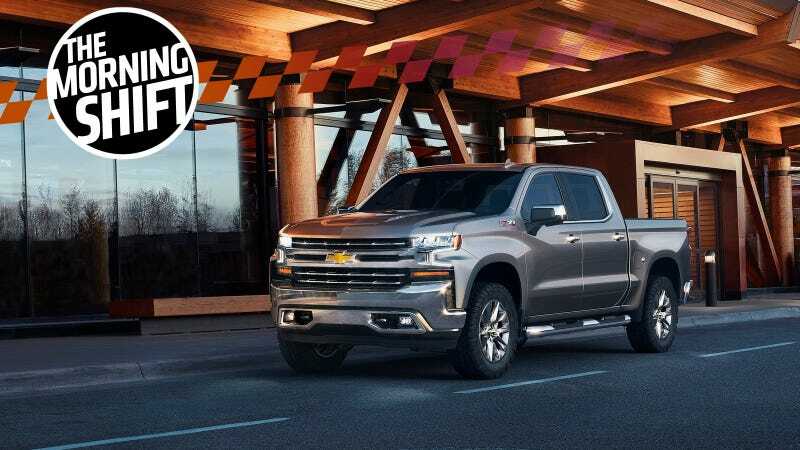 The key is profit margins—you take a basic truck and turn it into a King Ranch or Sierra Denali or whatever, pile on the options and watch your money stack higher and higher. The survey found that 68 percent of pickup owners said their vehicles were overpriced. Forty-eight percent said the trucks aren’t made as well as they used to be and 17 percent said they probably will not buy another pickup. “It speaks to gas mileage and fuel efficiency being top of mind to car buyers overall right now,” said Gross. Also worth noting these ridiculously high transaction prices were driven by cheap and readily available credit, and that certainly won’t last forever. Trucks really aren’t that bad if you don’t spec the rolling living room package. But most can’t help themselves- it’s rare to find a stripped down work spec truck with a regular cab these days. My truck was 26k. What's the problem again? That's because most people that have trucks don't use them for anything more than a sedan/cuv and want their truck to have all the same things as a luxury car. This place is going to hell on a Thule roof rack. That tells us that they're making what's selling/profitable, which should be completely understandable. If the economy takes a dive they can easily switch the mix to whatever is selling best at the time, which would include sub $30,000 full size pickups, never mind that Ford and GM also have pretty large "mid-sized" trucks that are still quite capable. *tucks "living room interior" into his personal vernacular. i entertained the thought of a truck once...here in KS trucks are the main thing to get, so just about every dealer around has nothing but optioned out trucks that run 50k or higher! i think i read somewhere that Ford is releasing the ranger again, that will be a great truck if they come in with the right price. Even the 12k off sticker sales going on this month are still more money than my current truck stickered at in 2013! its amazing how insecure men are they are willing to put down that much money to feel good about themselves. My comments are more SUV/CUV related, but probably are relevant to the overall conversation about trucks. Most of my friends or associates, who bought new vehicles over the last two or three years, switched from SUVs to sedans. I also abandoned SUVs, after 12-16 years, in favor of a car. The reasons behind these switches were driving enjoyment (number one), prestige (most of these people left mass market CUV/SUVs for premium brand sedans), and fuel economy. In one case, a friend who is an "almost empty-nester" left SUVs for a premium coupe, citing no longer even needing a 4 door vehicle. 1. The JLU, while very nicely improved, didn't feel vastly different than my 3 previous JKUs. 2. The cost of a new JLU is insane. 4. Winters have become pretty mild around here, so a Wrangler now feels like overkill. Also, I can work from home, when the weather threatens to be bad. Even with a 4WD Jeep or truck, there's really no need for me to brave the elements anymore. Did you know? Trucks are also purchased by women and companies. But almost 68.5% of those purchases were regular cab work trucks. Right? Just skip the power folding mirrors and power tilt/telescoping steering wheel. And on the tenth day of the two thousand fifteenth year, TCL finds out about rich people. I would love to know what you specd to get a truck down to 26K? which are not 50 grand luxo-trucks, so whats your point? i can atest personally i have seen three conservative co-workers go out and buy 50k trucks over previously driving sedans in the last 2 years. one even spent nearly 70k on a truck, its becoming a pride/insecurity thing in what they view as an increasingly feminized world. none of them use these truck as trucks, just daily drivers. RAM Tradesman with Power Wagon package for me and I'm good. Kudos to RAM for offering a real work truck with all the good stuff and none of the fluff. Easy. Sierra 1500 regular cab 8 ft bed, 4x4, locking diff, plow package, chrome package, but basic radio, cloth, and no power mirrors or windows. MSRP 31k, 5k cash back incentive during a "truck month" sales event. "Like a fine Detroit wine, this vehicle has aged to budgetary perfection"
i mean i understand getting a truck down to be under 30k and im not knocking it, but damn!!!! this is bare ****ing bones!!! These living room trucks are like college these days: way too expensive and completely unnecessary, yet we keep on buying them. Gotta have that image! Never passed by any Audi, BMW, Porsche, Mercedes, Alfa Romeo, Ferrari, Lamborghini, and or any other luxury car brand. Lol. "Bare ****ing bones" is a 68 Beetle. The first truck linked has 4x4, pleather interior, full color info display, cruise control, steering wheel audio controls, bluetooth, power mirrors windows and locks, automatic headlights, air conditioning, and a backup camera. Surely you can't be serious. almost all of those options are just about standard these days, besides 4x4 and backup camera, so yea, im pretty serious. lol i would rather get a ghia over a new truck anyway. TDI'S ARE TOO DAMN LOUD! why all the NSXs are still so expensive? Who thinks the pedals are too closely spaced? I thinking that the temps are too high....Please read.